The only sensorless drive system ensuring absolute accuracy. No encoder, resolver or other speed transducer is needed, thus no wires, cables and electronics are used for the speed measurement through the drive. That makes SSP a unique product that can be used for a huge number of applications that required, until today motors. 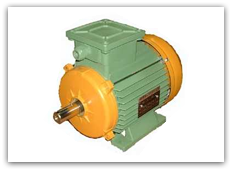 An excellent feature of this revolutionary motor is the higher efficiency, even if the same contruction materials as for the normal induction motor are used. The motor inertia is 30 to 50% lower (according to the size) than an asynchronuos motor having the same power. Between 1% - 2% compared to the nominal torque, which makes SSP comparable to the best servomotors. Having no brushes, electronic parts, magnets, the motor is as reliable as an induction motor and does not need periodical servicing, expept for the bearings. The error between two motors shaft positons is about ±1,5°; the error repetition on the same position is around ± 0,1°÷ 0,2°.This means that the error is non cumulative. Speed is controlled with error £ 0.01% (1:10.000) and keeps a good motion roundness at low revolutions. 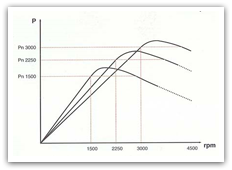 Such characteristic is kept from 0 (zero) up to 2 times the nominal motor speed (running at constant power) with torque values from 0 to 2 times tha nominal motor torque.